Can you spot this sneaky snake hidden among this leafy garden filled with ferns? A man tending to his mother’s garden had a very close call after he stumbled upon a cleverly camouflaged snake hidden among the bushes. 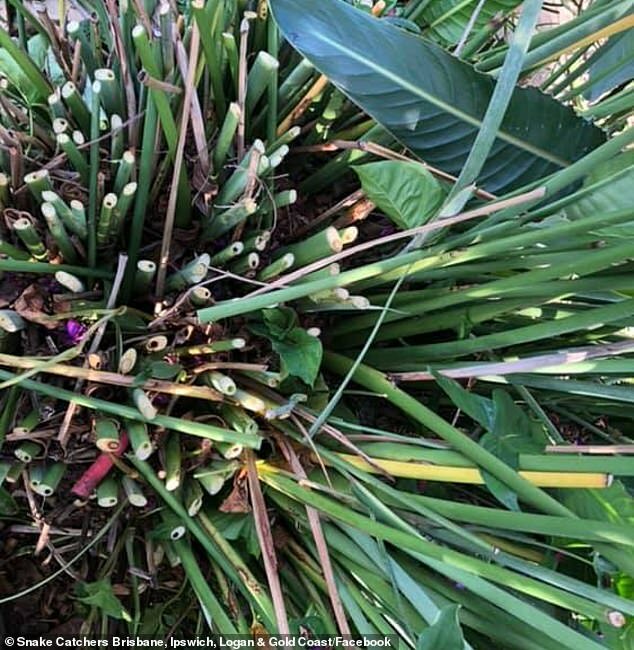 The sneaky snake had hidden itself within an exotic flower concealed underneath an abundance of leaves in a residential front garden in Ashgrove, in inner Brisbane. The incognito serpent was so well disguised it proved almost impossible to spot. Can you spot this sneaky snake hidden among this leafy garden filled with shrubs and ferns? 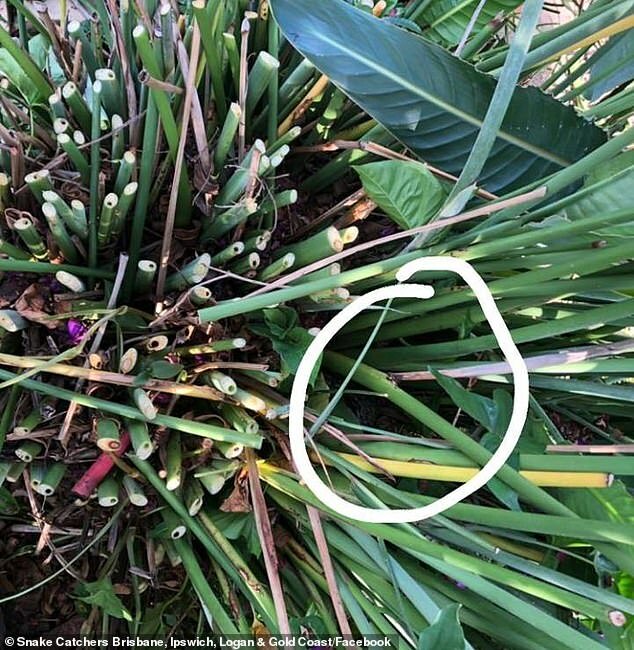 ‘A gentleman was cleaning up his mother’s front garden when he discovered the snake sitting inside a Bird-of-paradise plant he was trimming,’ an employee for Snake Catchers Brisbane told Daily Mail Australia. ‘Needless to say he got quite the fright and was not willing to continue until the snake was gone. ‘It stayed in the same spot until I arrived to remove it,’ he added. 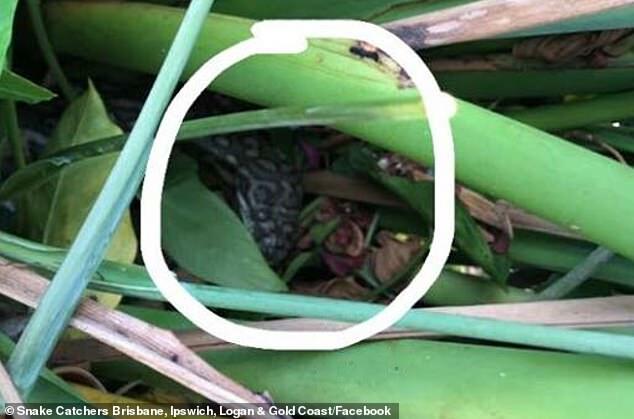 Since retrieving the serpent, Snake Catchers Brisbane shared a snap of hidden snake to its social media page and challenged its followers to find it. ‘Can you find me? I reckon this spot the snake will get a few of you,’ they wrote. As expected, the guessing game left many social media users baffled. ‘I’m completely hopeless at spotting these but I’m ever do curious where it is. This is why I don’t do Where’s Wally books,’ wrote one. ‘Just can’t see it,’ another declared. ‘I’ve found two possible locations, have no idea if it’s a snake or if I’m just seeing things,’ a third admitted. The snake catchers eventually revealed the location of the serpent. The snake had been hidden in plain sight in the centre of the photo.